Liver problems, such as non-alcohol fatty liver, fibrotic changes and even non-alcoholic cirrhosis, have been seen as children with A-T become adults. In addition, liver disease has been associated with insulin resistance, which is also seen in A-T patients. 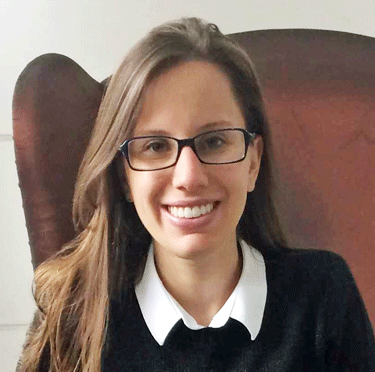 To better understand liver disease in A-T by investigating the correlation between insulin resistance, inflammation and liver fibrosis, the A-T Children’s Project has funded a research team led by Talita Barreto, PhD from the Universidade Federal de Sao Paulo in Brazil. The most frequently-used test for detecting fatty liver disease is an invasive liver biopsy. But in Dr. Barreto’s study, she will instead use liver-related blood tests and a relatively new, non-invasive imaging method, transient elastography, to measure the degree of liver fibrosis in A-T patients. These non-invasive methods will be better suited for monitoring fibrotic changes in the liver over time. Results from this study may reveal new strategies for treating liver disease in A-T, improving quality of life for A-T patients.